Stand-alone garages and storage buildings can include concrete pad, electrical, storage space add-ons and lots more. 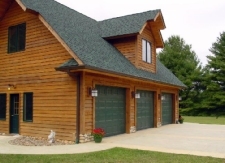 More and more - garages are assuming a bigger role in your lifestyle. 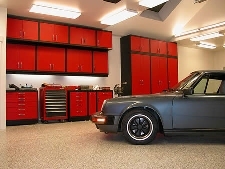 Many buyers want a garage that offers organizational systems featuring bins, pull-out drawers, baskets, shelving, cabinets, workbenches and closets. Estimates for organizational products run on the low end from around $1,000 up to about $10,000. Garages are now an extension of living space and have moved away from a total utilitarian function. Wall hooks for hanging up garden tools and bicycles keeps clutter off the floor and eliminates the need to stack things in a corner. Extra space in the garage that can be used as a workshop or hobby room is a delightful bonus for those seeking more space. Lots of outlets, insulated walls and garage doors. Some want an auxiliary playroom for children, especially if the home has no attic or basement. Buyers want enough room to park three cars. Painted and sealed or polypropylene tiled floors, finished walls and ceilings give garages a clean look. While an upgraded garage might not return your entire investment -- especially if it's on the high side -- the amenities will make your home more attractive to buyers and, thus, easier to sell.